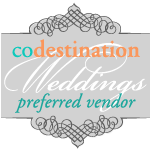 Choosing a wedding theme for your Colorado wedding can be fun, entertaining for guests and a fun way to interject you, your personalities, traditions, heritage, experiences into your big day! Of course, weddings don’t necessarily have to have a theme. It doesn’t have to be “Hollywood” or “Western” or “Renaissance” but merely an overshadowing concept we want to all work together to mutually build into your wedding design. With several recent Colorado themed weddings, from the Roaring 1920’s, Hawaiian Luau’s, and an awesome “Alice in Wonderland” themed wedding at Della Terra Mountain Chateau in Estes Park. It starts with determining what you want to convey at your wedding. Do you want to provide a slight glimpse of your theme, or a display it in a more prominent, dramatic role? Either way is fine. The key is choosing wedding professionals who openly and genuinely embrace your ideas and sincerely respect your originality and wishes.